Warning: Major spoilers for the finale of Hannibal follow. At the end of “Mizumono,” its second season finale, Hannibal leaves everybody in its cast outside of the title character bleeding out on the floor of Hannibal Lecter’s stylish home. The madman escapes to Europe; Will Graham, Alana Bloom, and Jack Crawford seem marked for death, to say nothing of Abigail Hobbs, a character the show seemingly resurrected just minutes before, only to have Hannibal slash her throat. Yet, anyone who’s watched television will know that the fact that not one of these four characters is shown to actually have died means it’s incredibly likely season three will open by revealing they survived, scarred and rattled, but still breathing, turning their sights toward reeling in the monster that got away to the old country. After all, showrunner Bryan Fuller wants to someday adapt Red Dragon as a season of the show, and it would be very difficult to do an adaptation of that novel without at the very least Will—and probably Jack. Even if the show were to resurrect only Will, however (which I dearly hope is not the direction things are headed in), it would be met by howls from some corners of TV fandom that it had somehow cheapened its storytelling via the resurrections. Too often, the idea of “gutsy” storytelling is a shorthand in TV fan-speak for a show’s willingness to kill characters, particularly in this age of Game Of Thrones, but it’s also a reductive way to approach storytelling. The value of a story should not be measured in the number of corpses the writers rack up over the course of its plot. Storytelling should never be just about who lives and who dies, or even about the wild twists the storyteller unleashes along the way. Instead, by embracing the fact that its audience knows Hannibal Lecter will end up in prison someday, Hannibal has turned foreknowledge into its chief weapon. It’s re-learned that there are fates worse than death, and it’s zeroed in on the raw power of classical tragedy. Ask yourself this: If all four of the characters presumed dead at the end of “Mizumono” are to live, will that cheapen the power of the four of them realizing how skillfully Hannibal has played them in any way? Even the viewers most skeptical of the finale would have to disagree with that sentiment. The true horror of “Mizumono” isn’t in the idea of the characters dying; it’s in the idea of the characters—particularly the smart, ultra-competent Will, Alana, and Jack—having to continue to live knowing that they lost what might be their best possible shot at capturing a monster they were smart enough to figure out but never smart enough to outwit. While the potential loss of life is a big deal, the genius of the episode is that it positions all of the characters in such a way that if they don’t die, it will almost be more horrible than if they do. At least death would offer a kind of relief from a world where the devil is apparently able to operate with absolute impunity. This is all part of a growing television trend I like to call “the slow-motion tragedy.” For the most part, when we enter a tragic story, we have a pretty good idea of how that story is going to end. This stretches back to the days of Shakespeare, when the greatest writer who ever lived was working with source material that would have been at least somewhat familiar to his audience. In a tragedy, the knowing is almost always worse than the not knowing, because it reminds us that all too many times in our own lives, we can see the horrible things coming from miles away. Horrible things can happen swiftly and randomly, but the kinds of things that really leave scars often take the form of terrible relationships we simply can’t end or addictions that can’t be broken or awful situations we can’t extricate ourselves from. A lot of life is about seeing a freight train barreling down on you and trying to minimize the injury from the inevitable impact, and at its best, tragedy makes this feel fresh and new, even as it’s emphasizing how predictable it all is. Television, of course, has always thrived in the narrow band that exists between predictability and unpredictability. We want the characters in our favorite series to do wildly unpredictable things, but we also want to get to know them well enough to anticipate how we expect them to react to a particular situation. To put this in Hannibal-specific terms, we want Hannibal to murder people in wildly original ways, but we also want to know that when he encounters someone who is rude to him, he is going to do everything in his power to eat them. It’s part of why the character is such a powerful one who has thrived in three different media now, but it’s also part of what makes building a TV show around him so challenging. On TV, we usually want to know that a character is going to react and the rough universe in which that reaction will exist, but we still want to be surprised by the what of that reaction. The slow-motion tragedy de-escalates from the “what” just a bit. When compared to a series like, say, The Sopranos, it’s much less interested in the “what” of what happens next than in the inevitability of the fallout from it happening. When The Sopranos launched in 1999, just the thought of a show based around a mob boss was so novel that the series played up Tony’s often violently over-the-top reactions to the things that happened to him. When the show inevitably reached a point where the audience could reasonably predict just about everything the character would do, it leaned into that predictability as a sign of how nobody can ever really change without hard work, hard work that most people are too comfortable to undertake. And its filmmaking grew nervier and nervier, culminating in a series finale so audacious people still talk about it in hushed terms. As the era directly influenced and inspired by The Sopranos continued, more and more shows seemed intent on upping it in terms of out-of-nowhere story turns and violence. A lot of the time, this was emphasized in terms of character deaths. The Sopranos broke ground in how willing it was to kill off vital members of its ensemble, and many producers took that not as an example of how ruthless storytelling could be very effective but as a challenge. Yet when was the last time you were really surprised by a death on TV in the way that an unpredictable death in real life can feel so harrowing? Too often, death is used as a cheap way to raise the stakes, rather than anything thematically necessary. The slow-motion tragedy understands death must be a part of the narrative, but it also understands that sometimes death is less important to a story than the characters simply knowing death is eventually coming for them—even if it won’t arrive for years. If I’m looking for a series to point to as a shift in this manner of thinking, I would likely point toward Breaking Bad. That was certainly a show that had numerous elements of the “What will the main character do next? !” storytelling structure as popularized by The Sopranos, but it was also a show that revealed in its pilot that the main character was going to die, then spent the bulk of its series killing him. 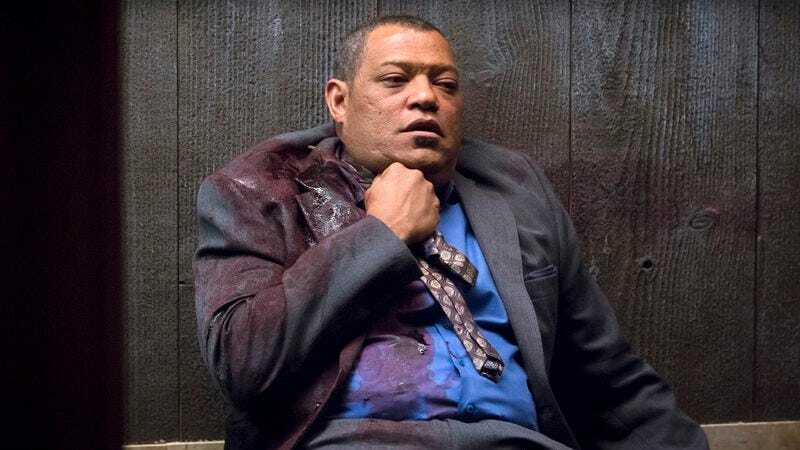 Heading into its series finale, few were arguing about whether Walter would die, because the cancer that had been diagnosed in the pilot was always going to get him sooner or later. Miracle cures could only buy him time, not salvation. Death was no longer the ultimate arbiter of stakes within the show’s universe. Instead, the state of Walter’s soul when he inevitably died came to the forefront. Tragedy was the central mode that Breaking Bad operated in. There was no bad decision Walter couldn’t make worse, and there was no character who couldn’t be drawn into his orbit of horrors. Tellingly, the first death of a major character in the show’s run came in its fourth season finale, and it only really started bumping people off in the final stretch of episodes. Some of this was simple economy of storytelling—Breaking Bad never had a sprawling ensemble to begin with. But a lot of it was creator Vince Gilligan’s steady assurance that there was perhaps nothing so bad as having to live in a world that brought someone into close proximity with Walter White. The slow-motion tragedy can sometimes seem to have over-learned these lessons, but I welcome its increasing prominence in the TV landscape. because sometimes knowing where you’re going is even worse than having something horrible happen out of nowhere. The audience knows the characters on Hannibal or The Americans or Fargo are doomed, because the audience knows the ground rules of the universes they operate in (or basic facts of world history) and can extrapolate from there. These shows, then, are free at all turns to make their lives a long scrabble for meaning and basic goodness in the face of all that is wrong with the world. Hell, even the medium’s most plot-twist-heavy show of the moment—Game Of Thrones—is based on a series of books anybody can pick up in any bookstore and read to know roughly what’s coming. It’s an old cliché to say that TV is all about the journey, not the destination, even though endings tend to give stories their ultimate meanings. It’s a cliché I generally agree with, but the slow-motion tragedy works so well because it foregrounds the ending, placing it right in front of the audience’s nose the entire time, as the characters try to avoid it and fail spectacularly. Think, again, about that Hannibal finale and imagine every single person who might die by Hannibal’s hand miraculously surviving, perhaps even by the hand of God himself reaching down to heal them. It would be a disappointing method of resurrection in dramatic terms, but it wouldn’t change the simple fact that because these characters know their ultimate destination, the act of living itself becomes the true horror.